Prasar Bharati added two Doordarshan's channel on it's DTH platform. for this addition now UP and RJ peoples can get regional news and updates. If you are not getting these channels here is technical details so you can tune your set-Top box. 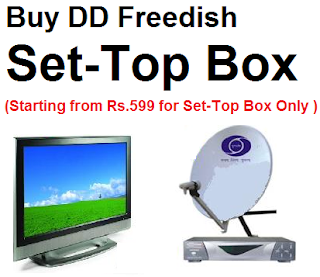 DD Rajasthan is one of the latest 24 X 7 regional satellite channels of Doordarshan Network. This is a Rajasthani language satellite channel supported by Doordarshan studios in Jaipur. Launched on 16th, August, 2013, the major content carried by DD Jaipur comprises of entertainment serials, infotainment programmes, health and agriculture based programmes, news and current affairs, social programmes and film programmes. In terrestrial mode, DD- Jaipur caters to the entertainment needs of the state of Rajasthan.